With offices across the West Midlands, we are one of the oldest established solicitors in the country, tracing its roots as far back as 1556. We provide a range of legal services for personal, business and rural matters. We know that every case is different, and we offer specialist teams for each service. I must thank you most sincerely for all the hard work you have all put in to make the sale of my company happen. There have been many scary moments and I have had many sleepless nights but I also know that you too have gone the extra mile and put in many a late night to facilitate the deal. I am most grateful to you all and I know I couldn’t have had a better team. We’re delighted to announce our merger with Birmingham Firm Pearson Rowe extending our offering across the region. As always your firm is very professional and I know you will always give me good advice. mfg Solicitors’ Employment Division are the Proud Winners of the Worcestershire Law Society Professional Discipline of the Year Award 2017. 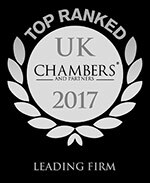 A recognised and recommended lawyer. Described as "highly recommended by clients", "gives good advice and thinks commercially" and praised for "grasping technical issues." A "star associate" - detailed to have received glowing praise from clients who say "He's very prompt at replying to anything, has a commercial attitude and is diligent in the way he uses his time." For businesses, mfg Solicitors offers expert advice on a wide range of corporate and commercial issues for businesses across Worcestershire, Shropshire and the West Midlands. mfg Solicitors provides services for all, from start-ups to well-established enterprises; a dependable legal team that you can trust is a strong asset for any company. Offering specialist coverage of rural Worcestershire and Shropshire, as well as the rest of the UK, mfg Solicitors is well known and nationally recognised for its services in rural legal affairs and for the firm’s understanding of rural and agricultural issues. Our ‘mfg for rural’ teams are there to meet the often unique needs of farmers, estate owners, tenants and people living and working in rural areas. We offer specialist help and legal advice for personal matters. If you’re moving home, our conveyancing specialists can assist with sales and purchases of all types of residential property and mortgages. For sensitive family matters, we have a team of highly experienced members of the Law Society’s Family Panel and Children Panel, who will offer sympathetic and practical advice.